Smart Switch WIFI and 433MHz Remote Control for home appliances, lighting, etc. Compatible with Alexa Google Home. 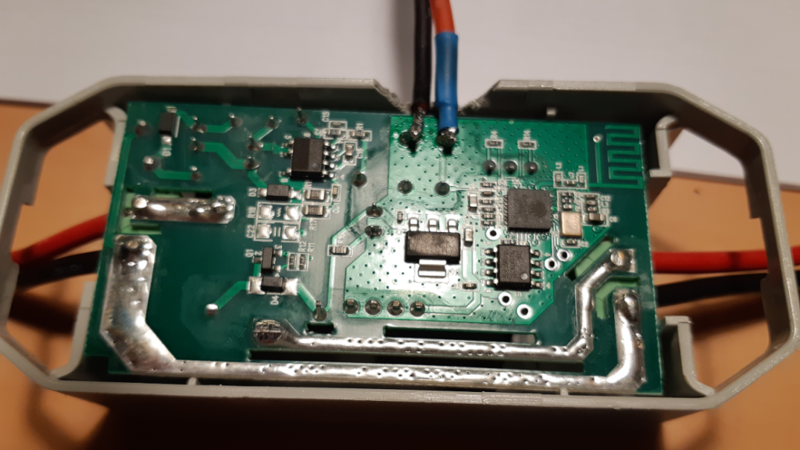 In this tutorial we show how to use the Smart Switch WIFI in conjunction to the 433Mhz transceiver, Smart Life and ALEXA. Below there is the electrical schematic of the connections and the positions of the LED and Button. At first power on you see a Blue Led (present on the Smart Switch) that flashing. If the LED don’t flash, press the black button, on the device, for about 5 seconds, until the LED starts to flash quickly blue. 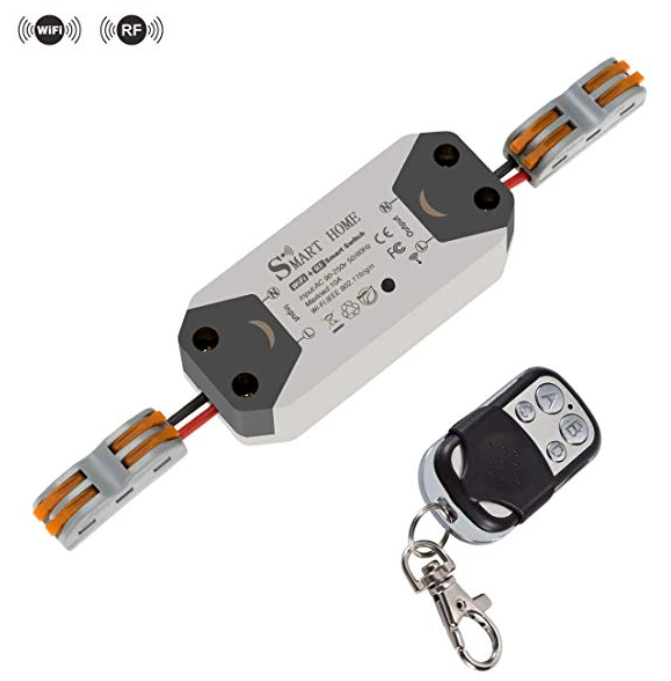 There are the possibility to associate your radio remote control﻿ in two different way, see below Mode 1 and Mode 2. It’s also possible associate more than a one buttons. To couple the 433Mhz radio control to the Smart Switch Module it is necessary to quickly press the black button (on the Smart Switch Module) for three times. At this point the LED light turns red and then press the button on the remote control that you want to associate. In this mode, each time the button on the remote control is pressed, the output status (on the Smart Switch Module) is switched (ON mode, then OFF, then ON, etc.). By pressing the black button quickly twice instead of three, the selected RF remote control button will function as a “button” and not a switch. In this case the device will be switched on only while we hold down the associated button and it will turn off when we leave it. The photo below shows the Smart Home Switch open. On the top of the photo there is a cable (red & black) soldered in parallel to the black button of the Smart Home Switch. This allow the possibility to use an external button for ON/OFF the Smart Home Switch. Pay attention, if the connection is long is suggested to use a shielded cable.